Sermon Leftovers: Is Door to Door Evangelism The Church's Best Idea Ever? Is Door to Door Evangelism The Church's Best Idea Ever? Matthew, Mark and Luke all record a story of Jesus sending out His followers with instructions to spread His good news. Each time, the details of his instructions differed slightly but one element always remained the same. The principle is very clear. 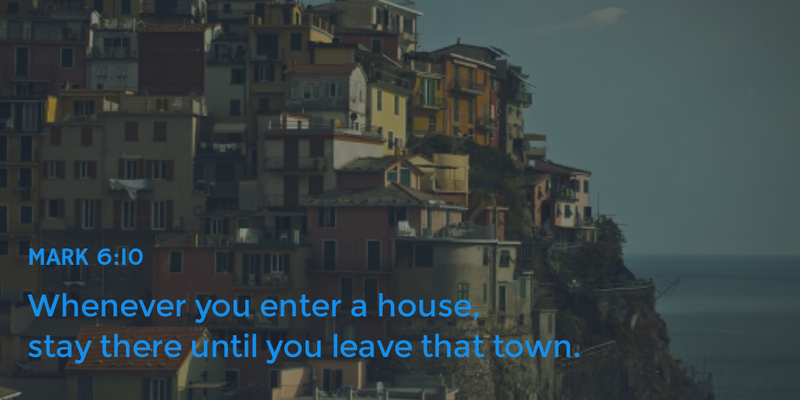 Find a house. Stay there. I don’t think this negates the efforts of those who evangelize door to door or those who engage in street preaching. I do think we should recognize that those methods are not necessarily the primary evangelistic method recommended by Jesus. Sadly, the longer they are part of a church, most Christians gradually lose all contact with the outside world. They fill their lives by going house to house with other Christians. There are few or no persons of peace in their life which means they have few or no opportunities to share the Gospel with those who most need it. This was not Jesus’ plan. I wonder how difficult it would be to find a person of peace today? Who is that one person with whom I can build a relationship? Who is that one person who will welcome me into their life even though they may not share my beliefs? How might that relationship change me? How might it change them? How might it change the world?